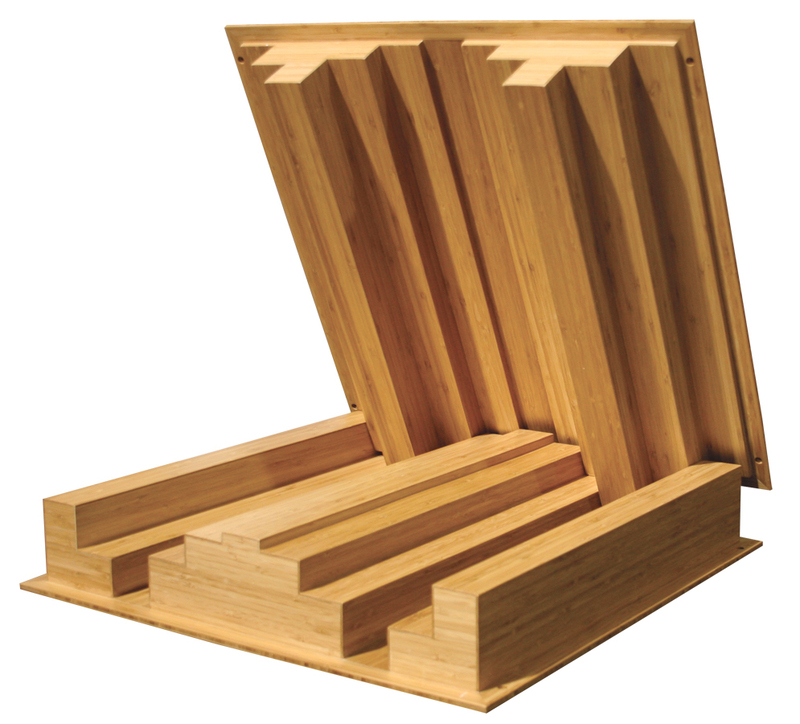 Sustain Bamboo Sound Diffusor Series, Material For Modular Sound Isolation from Auralex. 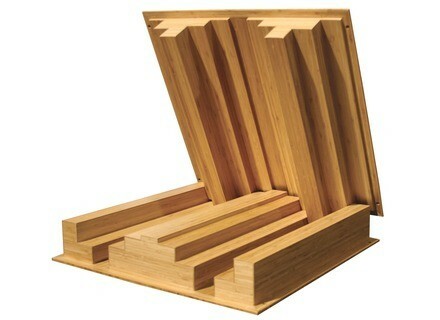 Auralex launched a line of acoustical products made from bamboo, the Sustain Bamboo Sound Diffusor Series, at Winter NAMM 2011 (Booth 6698, Hall A). The new line consists of the WavePrism, WaveLens, QuadraTec, Peak Pyramid Diffusor and KeyPacs. The Auralex WavePrism is designed to eliminate flutter echoes and other acoustical anomalies without removing acoustical energy from the space. The closed box design configuration of the product is designed to disperse sound evenly to create a more consistent listening or recording environment. The WavePrism is sized to drop into a suspended ceiling grid or can be wall mounted using mechanical fasteners. Auralex WaveLens' open-boxed design is designed to scatter and redirect acoustical energy. According to Auralex, the WaveLens can be beneficial in several applications as it can create a "large sound" in a small room, as it can optimize existing absorption panels by redirecting the sound energy. The QuadraTec's tiered design is said to "provide excellent scattering properties," resulting in a "warm, musical character to the dispersed sound." The pair offers two diffusion tools that, when used in combination with each other, can result in a more spacious feel in any room. The design allows QuadraTec diffusors to be placed in suspended ceiling grids or attached to wall surfaces with mechanical fasteners. Auralex's Peak Pyramid Diffusor is optimized to provide sound diffusion while also doubling as a bass trap when filled with absorptive material. These pyramid-shaped diffusors are sized so that they can be dropped into a suspended ceiling grid or installed onto wall surfaces using mechanical fasteners. KeyPacs are magnet-based panels that have the ability to mount to Auralex ProPanels or Studiofoam. Since most rooms are not dedicated to one particular application, these perforated absorption covers are designed to allow users to have a more live or dry room on the fly without having to reconfigure the entire space. Available in three configurations ― 9 Hole, Bubble and Star­ ― KeyPacs can fine tune an absorption treatment to be more effective and create a more acoustically balanced space, according to Auralex. Primacoustic Isotool Series The new IsoTool range aims at isolating vocals with Voxguard, reducing mic stand vibrations with TriPad, or incorporating an iPhone or iPod Touch into your stage set-up with TelePad.